If I had to pick ONE cosmetic item to use for the rest of my life, it would be blush. Okay, wait. 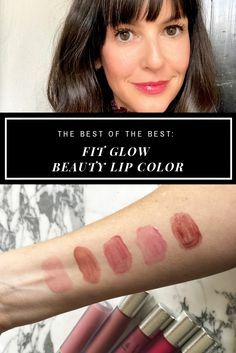 Honestly, it would be lipstick because 1) um, hello, LIPSTICK, and 2) I can use lipstick as a blush so it’s like killing two birds with one stone, people. Regardless, bottom line – it’s a very rare occurrence if you see me without color on my cheeks. 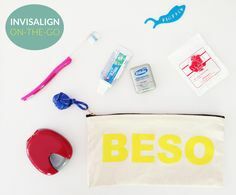 It’s my #1 tip for creating a youthful, healthy appearance. 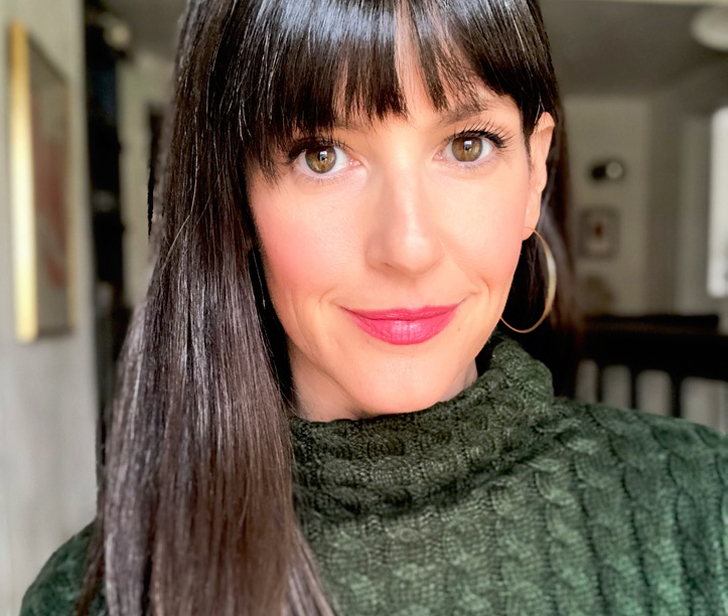 As a lady in my mid-40s, the texture of blushes is becoming more and more important so I rarely stray from cream blushes. 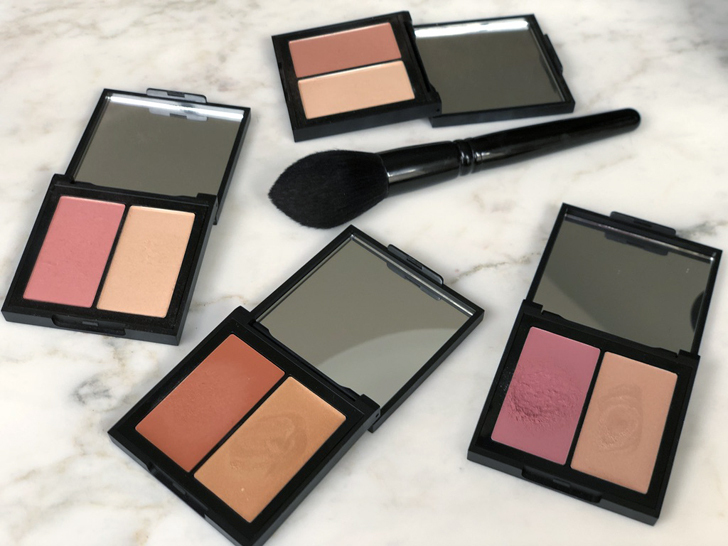 Cream blushes are the literal crème de la crème – they create a dewiness that is unparalleled and are so easy to blend, which is key as you develop more texture on the facial skin. Although I do have a few powder blushes I enjoy, the majority of my favorites are creams or balms. WHY CREAM BLUSH FOR MATURE SKIN? Cream blush is ideal because it looks more natural on the skin, leaves a dewy sheen, and doesn’t fold into lines or creases. Powders can sometimes accentuate wrinkles and make older, drier skin look even more dehydrated. Cream blush gives such a luminescence to the skin, making it appear more translucent and youthful. Personally, I always feel like my skin looks much more hydrated and glowing when I wear a cream blush. You can apply with your fingers or I really prefer using a stippling brush like my very favorite by RMS Beauty. I use a patting, circular motion to keep any harsh lines from forming. 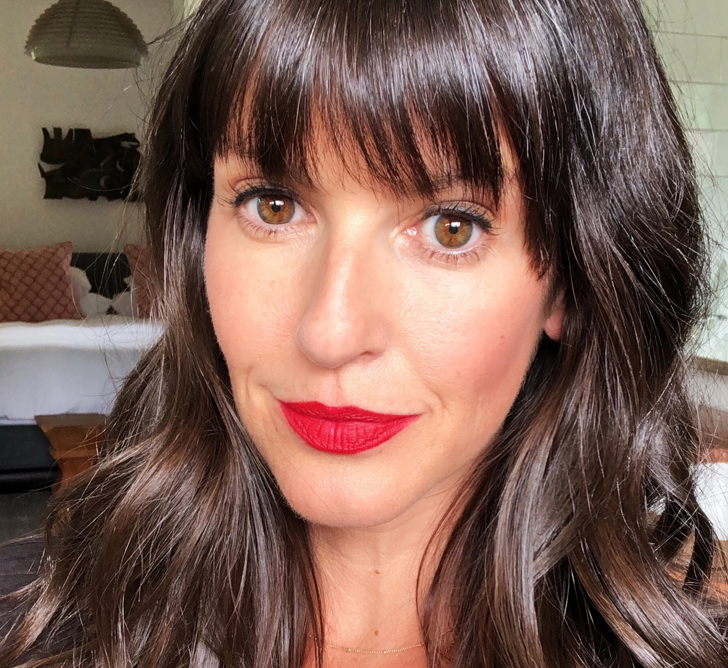 If you check out my Beauty Tips Highlight on Instagram, about 1/3rd of the way through, I have a Blush Tutorial showing exactly how I apply cream blush. Looking for a versatile, lightly-pigmented product for lips and cheeks? 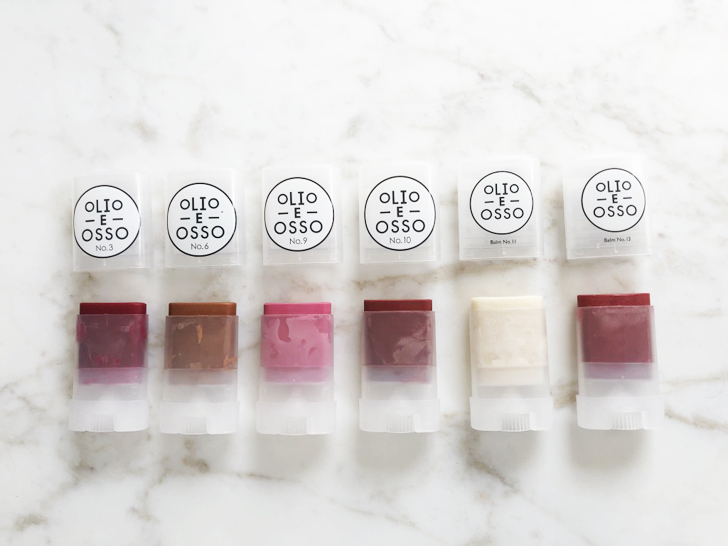 Look no further than Olio e Esso balms…as you can see above, I’m quite a fan. 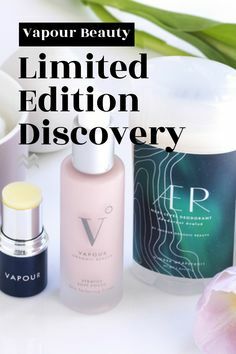 These balms are perfect for those who are looking for a hint of color and/or might be a little hesitant to try heavily pigmented creams. These little beauties are foolproof to apply – I don’t even need a mirror or brush! That’s why this is my top recommendation for those of you who are new to cream blushes and/or balms. If you are new to creams or balms and/or prefer a subtle look, you will love Olio e Esso. Next up? My true loves. I don’t even know where to begin with these little dreams. 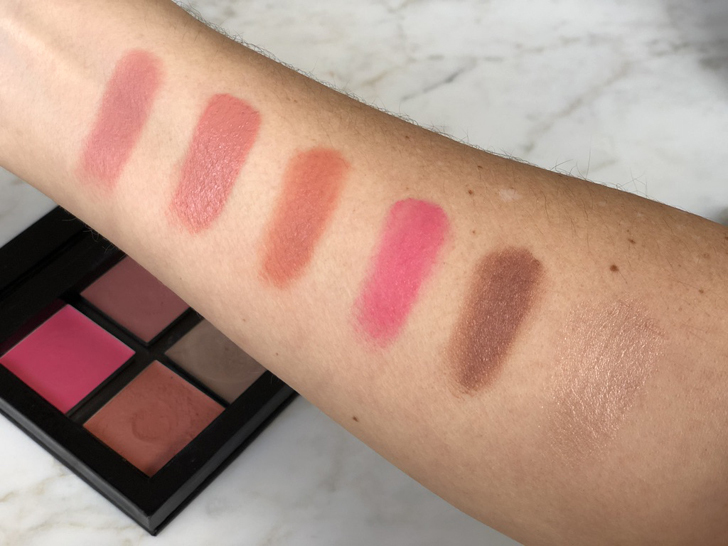 I have been obsessed with Kjaer Weis cream blushes for years. 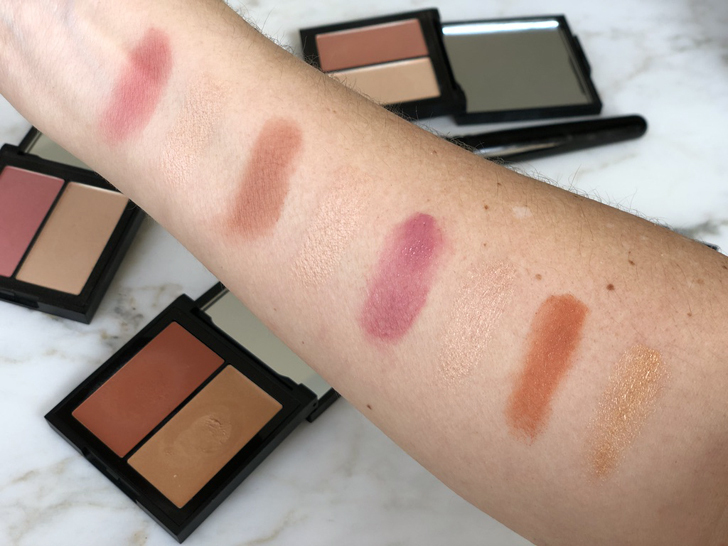 As you can see above, I’ve transferred my blushes from their signature KW luxury metal compacts to a Z Palette in the interest of saving space, and well, I love to see them all in front of me when choosing my blush for the day. If Olio e Esso balms are the sweet next-door neighbor, Kjaer Weis cream blushes are the envy-inducing, opulent friend. One word for you. PIGMENT. These blushes pack a punch but still manage to look fresh and sweet when needed. 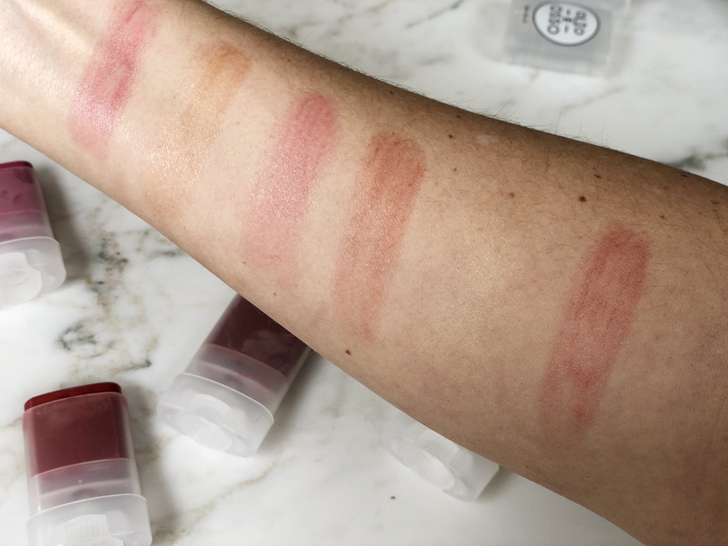 I obviously applied heavy swatches on my arm to demonstrate the true shade, but these blend out like a dream. 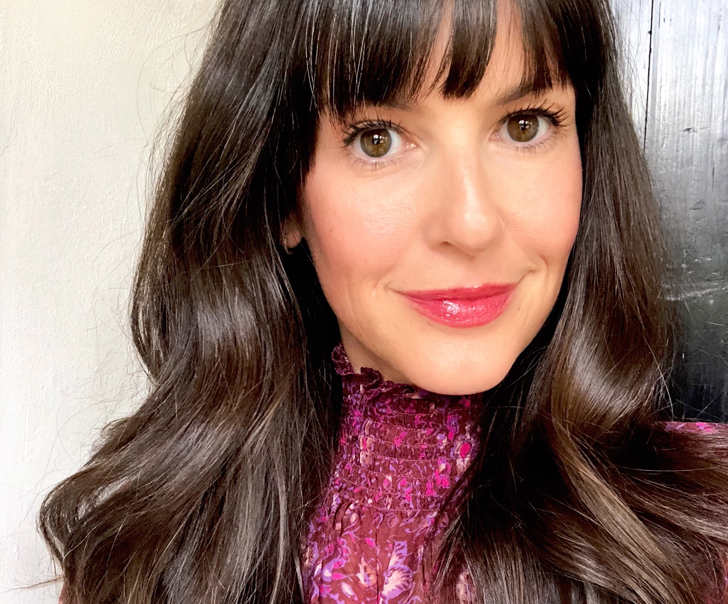 My top two faves are Reverence (a cool, sheer pink) and Blossoming (a best-selling rosy pink seen on me in the first photo), although Suntouched is my Spring and Summer go-to (seen on me here), and Abundance is perfection for Fall. 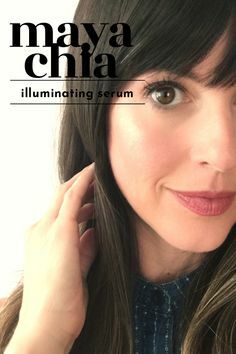 (I can also use Abundance as a contour when my skin is lighter in the winter.) You can see Abundance on me here. 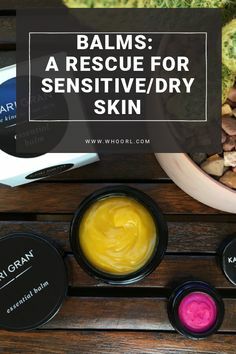 These blushes include jojoba seed oil (which adds moisture to the skin), rosa rubiginosa seed oil (excellent for tissue regeneration), and gardenia florida fruit extract, which is an antioxidant and works as a natural preservative. Also, of the agriculturally derived ingredients in this product, a minimum of 95% comes from organic farming. Fantastic. Last but certainly not least, the Kosas Color + Light Creme Palettes are fantastic. Each compact comes with a beautiful blush and coordinating highlighter. 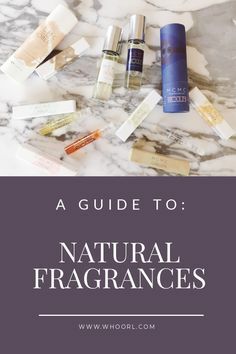 If Olio e Esso and Kjaer Weis had a baby, these duos would be it. 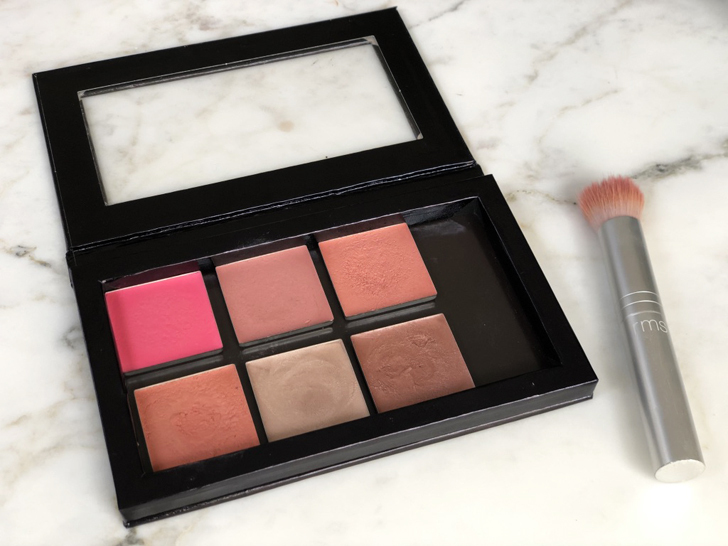 The blushes have a very creamy, dewy texture but still pack a pigment punch. The cream duo in 8th Muse is my very favorite – I’m already on my second compact which is downright impressive because I don’t think I’ve ever hit pan on a cream blush. A little goes a long way! I’m wearing 8th Muse on my cheeks in this photo. For those of you looking for a warmer cream blush, Helios is your answer. It is downright spectacular. I’m wearing Helios here. 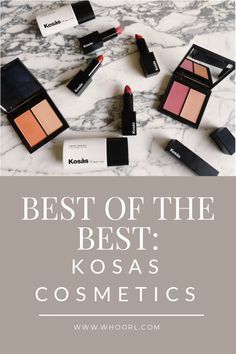 Finally, when I do wear a pressed powder blush, Kosas makes my faves. The Kosas Color + Light Pressed Powder Palette in Longitude Zero is a cool-toned dream and I use Contrachroma as a bronzer. If you haven’t tried a cream blush, what are you waiting for? They are truly the best. As always, if you have any questions, feel free to leave them in the comments! Thank you so much for the post! I have been wondering about bronzers for 40 somethings. But I’m confused by the concept of cream bronzers. Can you shed any light? The RMS Buruti Bronzer is my HG. It’s amazing and actually makes me look sunkissed. LOVE. Which color would you recommend for fair skin with blonde hair and blue eyes? I feel like I lean toward corals/peaches but sometimes feel like I look washed out. You look great in these photos! Are you cool or warm-toned? I think Reverence would look beautiful on you! I bought that RMS brush on your advice and love it, thanks! What’s you go to concealer for under-eye darkness?